There's an all in and a call in the lobby area, and up go the cards. Pocket Tens against King_Queen, the player with Tens at risk. 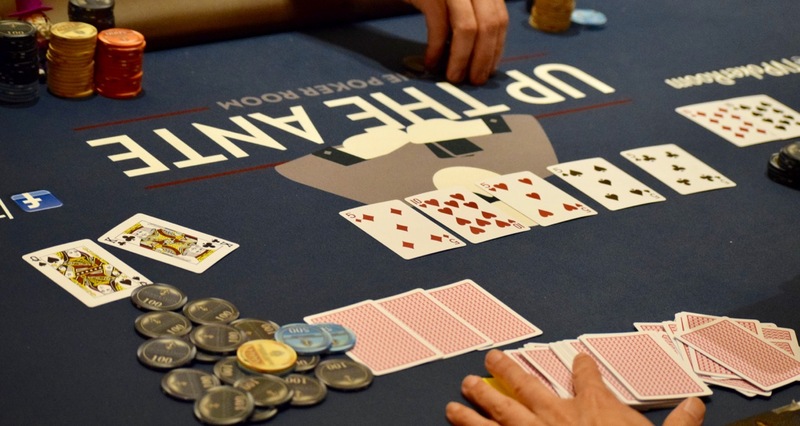 The flop of T-5-5 gives the short stack a full house and a virtually unbeatable hand. For the math geeks out there, the King_Queen is a 0.71 percent to win at this point. The turn 5 makes the odds 97.8-to-2.2. River .... the case 5, the pocket Tens are corrupted, the King plays ... quad fives and a King beats quad fives and a Ten. Wow, just wow a flopped king-high beats a flopped full house.